On February 3rd, 1990, a Queen was born again. 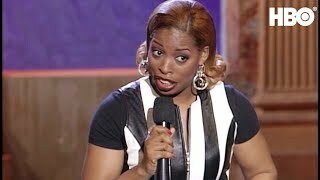 On that date comedian Adele Givens made her professional stand-up debut at the Regal Theater in Chicago. Since that day comedian Adele Givens has not ceased to amaze her fans and peers alike. Almost immediately her peers dubbed comedian Adele Givens the Queen of comedy. The name stuck and it's no wonder, with such credits as Russell Simmons' Def Comedy Jam, The All-Stars of Def Comedy Jam, The Bad Girls of Def Comedy Jam and The Oprah Winfrey Show. Comedian Adele Givens has reigned supreme all right.